We all love bagging a bargain but did you know that you can get even savvier when it comes to shopping in the sales. Below we have put together a round up of the best month to buy different products and experiences to get the best deal. Happy Saving! Sports and exercise Equipment – It’s the perfect season for sport. Well it’s not because there’s all that wind and rain but that means it’s the best time to off-season shop and pick up all the gear the family will need in the summer. There is also that old trick of retailers and gyms offering discounts to nab buyers who just made that New Year’s resolution to hit the gym and shape up. Linens – In 1879 John Wannamaker started the “white sale” to flog linens in a period when sales usually dipped and since then January has become the best month to get bedding and other linens. Furniture – New styles hit the floor in February so now is the best time to buy the old stock that stores are trying to offload. Clothing – We all know about the post-Christmas sales so don’t forget to use them to stock up the wardrobe with some essentials. The selection might not always be great but the prices will be. Theatre Tickets – This is one of the slower periods for theatre so January is a great time to seek out some discounts. This is the perfect time to broaden your theatrical horizons. Suits – Not a lot of people buy suits in January so there is usually a drop in prices. Video Games – There’s always a major push of new games out in late autumn in time for the festive season but they’ll go on sale once the holidays are over because there is always a slump in sales after the Christmas rush and they need to make up for it. Cameras – The new models are always announced at the January Consumer Electronics Show so last year’s models will be discounted as soon as possible afterwards so shops can make way for the latest gadgets. Winter Clothes – Try to survive one more winter with your old battered coat before retiring it because spring fashions start to appear in stores about now so the sales racks will be full of coats and winter boots. However this is one month where you need to find the sweet spot, the later you wait the better the prices will be but wait too long and they’ll be taken off the floor so make sure keep an eye on things. TVs – Japanese manufacturer’s fiscal year ends in March, so they are eager to get rid of old stock. BBQ’s – Once it gets to the spring, retailers are serious about getting rid of all their old models so get ready for the summer early. Golf Clubs – New models come out in summer so they’ll be pushing the old ones out the door. Luggage – In between summer and winter, the two biggest holiday seasons, everything that wasn’t sold during the holiday season are up for grabs so get ready for your getaways now. Trainers – The weather is starting to hint at the summer that might be round the corner but probably isn’t. That means that the less serious get to decide once again that exercise might be a good idea. Take advantage of the spring sales and get yourself a new pair of kicks! Vacuums – Once again take advantage of the fact that new models will be arriving in June so grab a vacuum for a low price and crack on with the spring cleaning. Fridges – Most big appliances go on sale later in the year so don’t be caught out when the fridges aren’t on sale. New Fridge models come out in May so last year’s models will be on sales then. Tools – June is a strange month where the only big event is Father’s Day so you’ll see the typical ‘man’ things go on sale so take advantage and grab some tools as the prices should have dropped nicely. Gym Membership and Equipment – Let’s be honest by June everyone has forgotten about their resolutions so gyms are trying to motivate people to re-join, keep your eyes peeled for offers around this time. There is also the strange phenomenon that most of the people that start their exercise kick in April are runners so you can usually buy gym equipment for your home at a discount. Dishware – It’s Wedding season so there’s dish deals for everyone, even if you’re not getting hitched. Furniture – The year’s second design revamp arrives in stores next month so the old stuff will have to go so there will be great deals on last season’s selections. Computers – Intel starts ramping up for new stuff in July and Apple does a great back-to-school deal for those heading off to university so get ready for school now! Home Décor – From table settings to dinnerware, there will be a plethora of home décor products on sale now as the wedding season continues. Video Games – This is the historic slump period for games, usually there aren’t very many releases so there is usually some kind of push on things that have been released throughout the year. Make sure to check put the Steam Summer Sale if PC games are what you’re looking for. Summer Clothes – Autumn is already around the corner so kids’ warm-weather essentials should be nicely priced, especially swimwear as everyone is clearing out their inventory. School Supplies – You all know about the back to school sales but make sure to pick up some office supplies too. You can either buy now, when the sales are going on, or later in September, when stores are getting rid of leftovers. Office Furniture – A benefit of all those back-to-school sales is office furniture often gets put on sale too. Cars – Dealers are eager to move old models to make room for new inventory so you’ll find the best sale selection now. Appliances – With the exception of refrigerators as you’ve already seen September and October are the best time to buy big appliances as the newer models are starting to come out. Lawnmowers – Stores will be looking to get rid of lawnmowers as they head into the off-season. The selection probably won’t be good but the savings will make up for it. Bikes – New models are come out at the end of riding season which happens in September so get last year’s models for less. Wine – It’s harvest time so it’s the best time to stock up on some quality vino. Jeans – One of the most common leftover items after the back-to-school rush is jeans, so hit the shops in between the back-to-school season and holiday rushes for some major discounts. Patio Furniture – The outdoor season is starting to wrap up so you’ll find the best prices now before it all goes away. 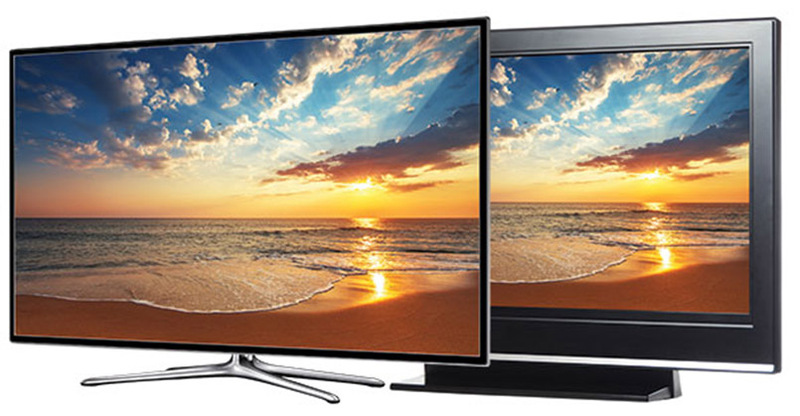 TVs and other Electronics – With Black Friday and Cyber Monday there are good deals on all sorts of electronics. Just make sure that they are actually deals by doing a little research before clicking buy. Tools – Holiday sales are perfect for grabbing cheap tools, especially if you have a winter-related home repair you need to make. Toys – It’s a Christmas miracle — the kids’ stuff you want is actually on sale when you need it! The Christmas sales start early at places like Toys R Us, and will continue through most of the holiday season so be prepared. Champagne & Prosecco – This is one of those few times that prices drop because demand is so high. These companies are all trying to compete with each other, so grab it now for your holiday celebrations and shop around for the best deals. Cars – Dealers are more likely to budge on price because they will get essentially a double-bonus from automakers for number of units moved by the end of the month and end of the year. If you shop wisely you can score big discounts on popular models.